Baseball season is now well under way and the LA Dodgers have got off to a good start winning the majority of the games played so far. They had a busy offseason, with a number of trades, signings and departures. The Dodgers also said farewell to their General Manager of four years, Farhan Zaidi, who has left to become President of the San Francisco Giants. Despite these changes, the Dodgers’ powerhouse team is still strong and is a force to be reckoned with in 2019. 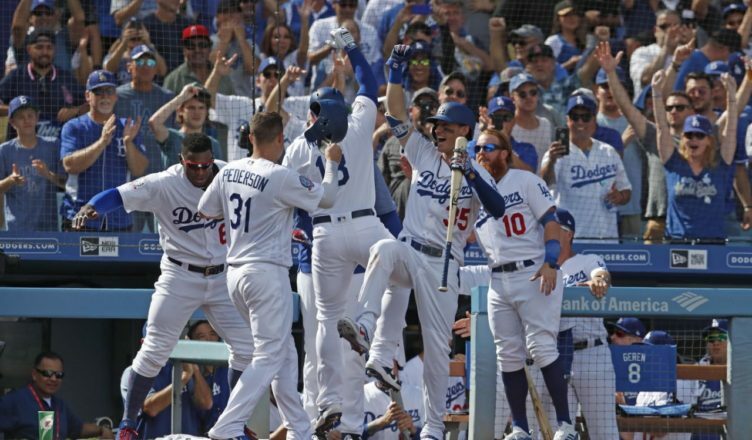 Having won each of the last six National League West titles, it is safe to say that the Dodgers are favorites to win again in 2019. Odds comparison site Oddschecker currently lists the Dodgers with -357 odds of taking the title for the sevenths consecutive time. The Dodgers’ lineup and dominant performance in the last few years make them a team you would be unwise to write off. Are Injuries Kryptonite for the LA Dodgers? As favorites for the National League West title, it looks likely that they have a great chance to pick up the 2019 pennant, their third consecutive National League title. However, this is almost certainly at a risk if a pandemic of injuries were to hit some of the Dodgers’ star players. These are not unfounded fears, since success is heavily reliant on the batting of Justin Turner and the pitching of Kenley Jansen. There are also concerns about the health of Clayton Kershaw and Kenley Jansen. Kershaw has spent four seasons on the injured list and has been suffering from an inflammation in his shoulder that has seen him miss some action, in addition he has suffered a number of problems with his biceps and back. Meanwhile, Jansen has had a number of procedures recently. In August 2018 he had an atrial fibrillation due to altitude aggravating a heart defect that caused him to have an irregular heartbeat. Having had surgery to repair his heart, Jansen says that he is recovering well and is optimistic about the progress he has been making. Corey Seager is another player who has been plagued with injuries in recent times. In May 2018, he underwent Tommy John surgery to replace a ligament in his elbow and to fix problems he had been having with his hip. This meant that he had been unable to compete for the best part of a year, but he began training again earlier this year, and seems to be off to a solid start this season. Can the Dodgers Win the World Series in 2019? The Dodgers have found themselves in the World Series for the last two seasons, but have been unable to convert either of these trips in to wins. In contrast to the Dodgers’ top form in the West Division and their National League Pennant wins in both 2017 and 2018, they have been unable to secure a World Series title since 1988. It is certainly true that “you have to be in it to win it”, and the Dodgers have proven several times that they are capable of getting to the World Series. They have a strong level of consistency, not just in winning titles but in overall game performance, which is needed by a team to go all the way. However, only time will tell and a lot will ride on whether the team can stave off injuries of its top players. The Dodgers have been busy during the offseason, with a number of trades, signings and departures taking place throughout the winter. This included a trade with the Cincinnati Reds that saw four players: Kyle Farmer, Alex Wood, Matt Kemp and Yasiel Puig leaving the Dodgers, and the Reds sending Josiah Gray, Horner Bailey and Jeter Downs in return. Despite sending more players than they received, the Dodgers also paid $7 million to the Cincinnati Reds as part of the trade. There has been some speculation that this trade was, in at least some part, to reduce their liability under the Major League Baseball “luxury tax”, where teams who are able to spend larger amounts of players must pay for the privilege. The luxury tax threshold for the 2019 season is set at $206 million, and this trade will likely have got them just under this. In recent years this tax hasn’t been too much of a trouble for the Dodgers, who paid around $150 million of luxury tax penalties between 2013 and 2017. The big rumor that had been circulating for months was that the Dodgers were planning to sign 26-year old Bryce Harper. It had been reported that the team had been willing to pay as much as $45 million to sign the star player, however he instead signed with the Philadelphia Phillies instead of returning to the Washington Nationals. Not signing the 2015 National League MVP could turn out to be a big loss for the Dodgers, as he could have been pivotal in them securing a World Series title win. Instead of Bryce Harper, the Dodgers signed A.J. Pollock from the Arizona Diamondbacks in a four year deal that is said to be worth $55 million. However, Pollock is another player who has been suffering with a number of injuries that have seen him miss valuable and important game time. In the last five seasons he has suffered a fractured elbow, broken hand, fractured thumb and groin strain. The elbow injury was very significant as it saw him miss the majority of the 2016 season. Based on their performance for the best part of a decade it would be foolish to consider the Dodgers as anything but favorites for the 2019 West Division title. Whether they are able to convert this into a trip to the World Series, and ultimately win it is a different question. The Dodgers are certainly in a strong position to break their 31 year World Series title drought, but it won’t be an easy ride. A lot rides on whether the team is able to hold off injuries from some of its star players. This will ultimately be the factor that decides the fate of the Los Angeles Dodgers in 2019. The NL West certainly is their’s for the taking. IMO, the only threats are SD and COL.
All the Dodgers have to do is take care of their own business, and let the other four beat each other up. The worse thing they can do is take these teams for granted, and put their guard down. The Dodgers have a big target on their backs, not only in the NL West, but also throughout the league. These other teams are desperate to do anything they can to prevent the Dodgers from returning to the WS. It is evident, as the Dodgers lead the majors in HBP. Start protecting your hitters by making early statements to the opposing batters. Take that first, free shot early, and put their opponents on their heels. They must go into every game like it is a must win. Get the upper hand in the first game of a series. If they have a possible sweep on the table, go for the jugular. If they must platoon, be very cautious about when and how to do it. If a player is hot, let him play. If a pitcher is cruising, let him cruise. 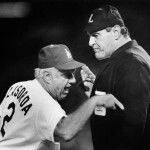 These absurd matchup decisions, leading to elevator lineups, and early hooks to pitchers, has to cease. Use the bullpen efficiently, so as not to burn them out. Just throw those spreadsheets in the shredder, and play smart, common sense baseball. It will payoff in the long run.